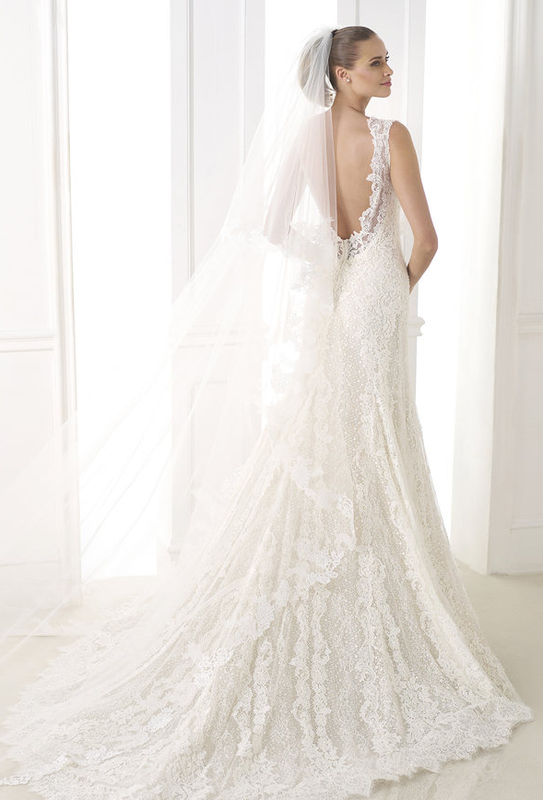 Pronovias, a global brand synonymous with excellence and savoir-faire style that makes a bride’s dreams come true. Headquartered in Barcelona and celebrating 50 years in the bridal business, Pronovias adheres to its mantra of transforming fine fabrics, embroidery, and lace, into haute couture designs. The result? Ethereal wedding gowns expertly crafted with impeccable detailing that’s always on-trend with today’s modern bride. 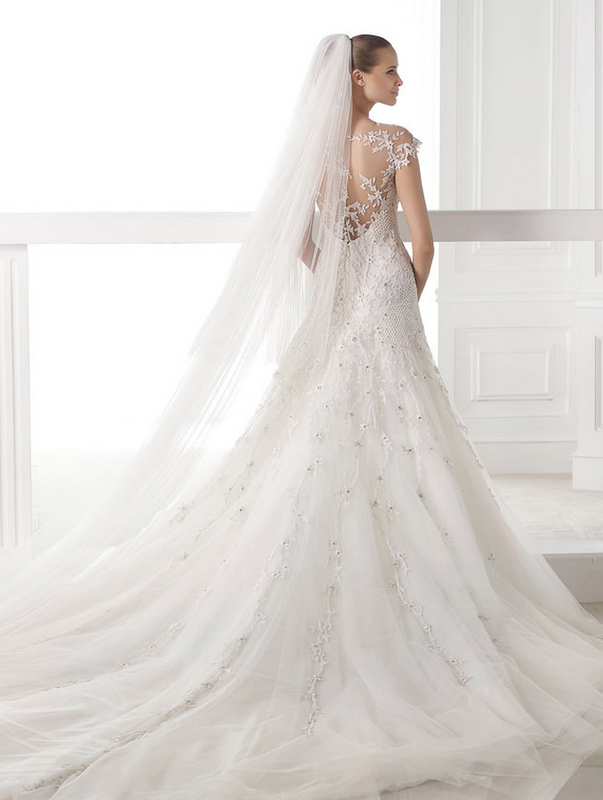 Best of all, Pronovias gowns are available in range of price points—from around $1,800 to $9,800, to accommodate nearly every bride’s budget. 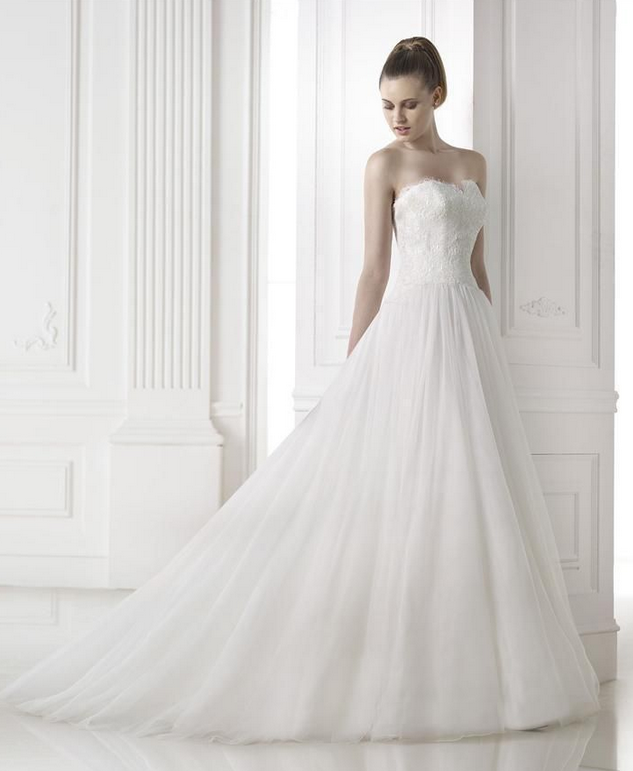 With humble beginnings as a family owned business in Spain, today the company dresses brides in 90 countries, making it the international leader in its sector. The founding family continues to own and operate the business to ensure adherence to its quality standards and core values. 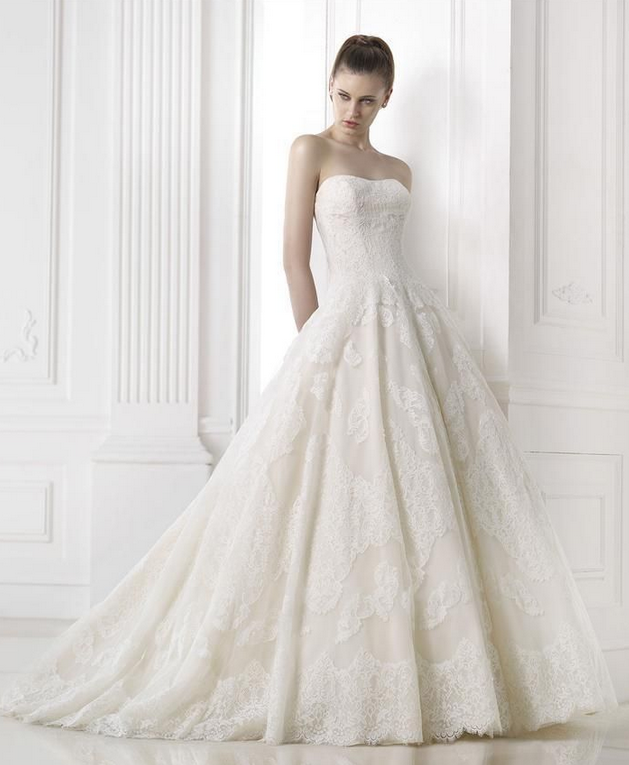 Pronovias creates three bridal collections—Atelier Pronovias, the most precious and highly priced collection that uses the finest fabrics for this haute couture line; Pronovias Collections, offers bridal gowns that enchant not only romantic and classic brides, but the modern and bold brides as well; and Elie by Elie Saab line, featuring Chantilly lace, organza flower appliqués and spectacular gemstone embroidery embellishments that decorate the sublime creations of the masterful Elie Saab. Below are a few of our favorites from the collections. 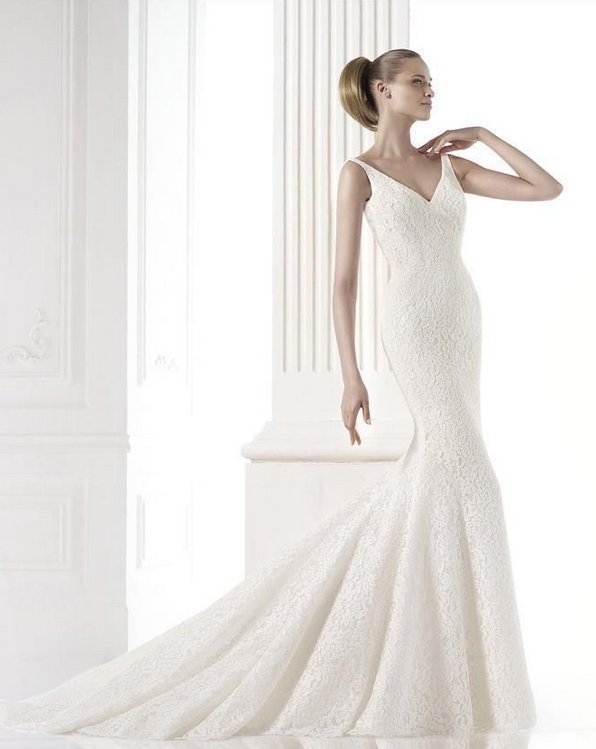 “Maryland” from the Spring 2015 Pronovias Collection (Fashion Collection): romantic mermaid dress in tulle with lace and gemstone embroidery. 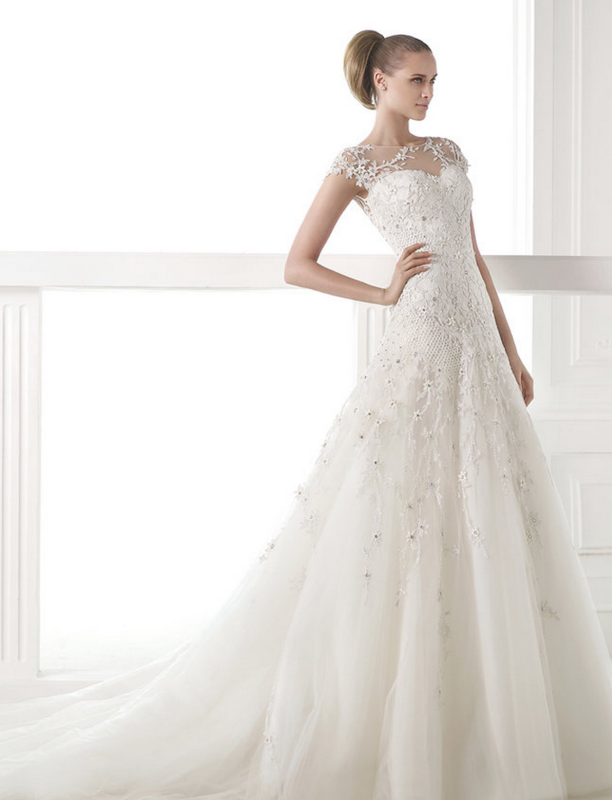 Sweetheart neckline bodice and sheer camisole with bateau neckline. How does the “magic” happen in the design and creation of each dress? Through listening and responding to requests from brides, following markets and shifting trends, and relying on superior seamstresses to fuel Pronovias with the creative information it needs to design the freshest and most extraordinary gowns to fit a range of budgets. 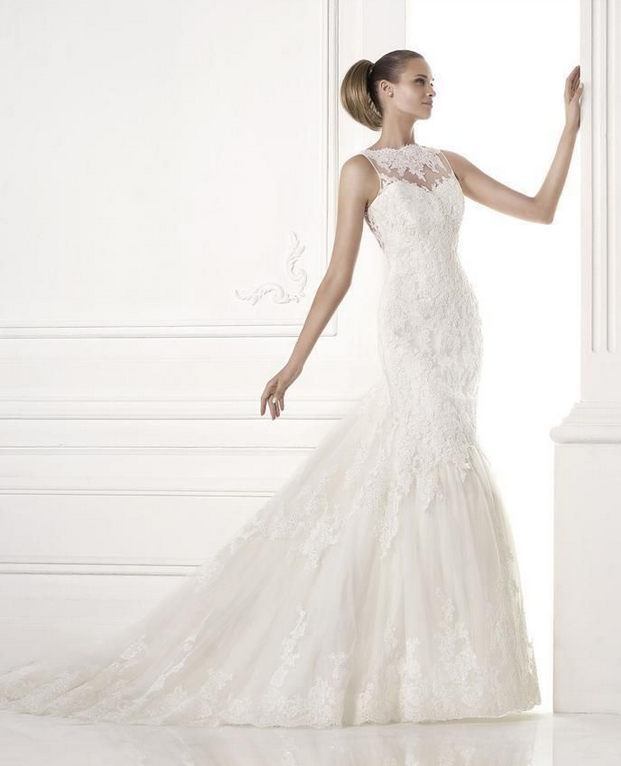 Join us at Musette Bridal as we debut the new arrivals from Pronovias from March 26 – 30, 2015! Please call to schedule your appointment: 617-424-1070. We look forward showing you these beautiful works of art.